This counter-model shake freezer features a small footprint. Great for restaurants, QSRs, ice cream shops, self-serve college & university cafeterias, retirement villages and healthcare facilities. Designed to dispense the finest frozen product available. 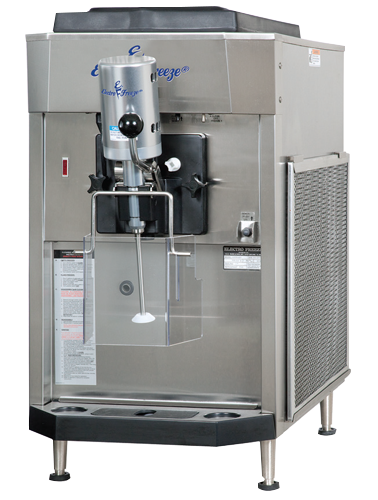 This extreme-volume, pressurized shake freezer features a dispense-head-monted mixer that blends flavors and/or crumb toppings into the shake product as it is dispensed. The fast, easy way to serve flavors regardless of the viscosity of the flavoring syrup or the fruit pulp it contains. 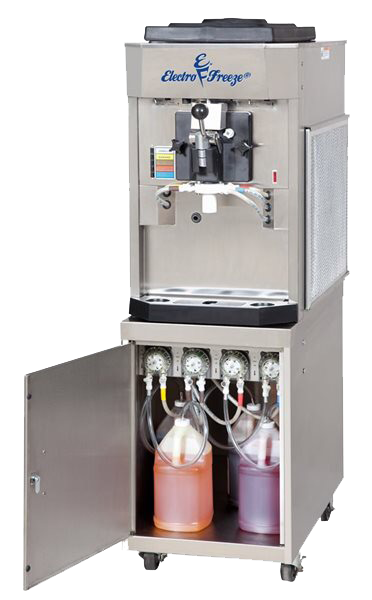 The Model CS705 is a gravity fed milkshake freezer which features a 5-flavor injection system, requiring no CO2. This is a versatile machine used in a wide variety of shops, restaurants and stores. Great for any high pace, high volume store or low volume restaurant as well.